The answer to that question? In the tag team main event of RAW. Nia Jax and Tamina came out first, looking pretty satisfied with themselves after their earlier attack on Natalya. 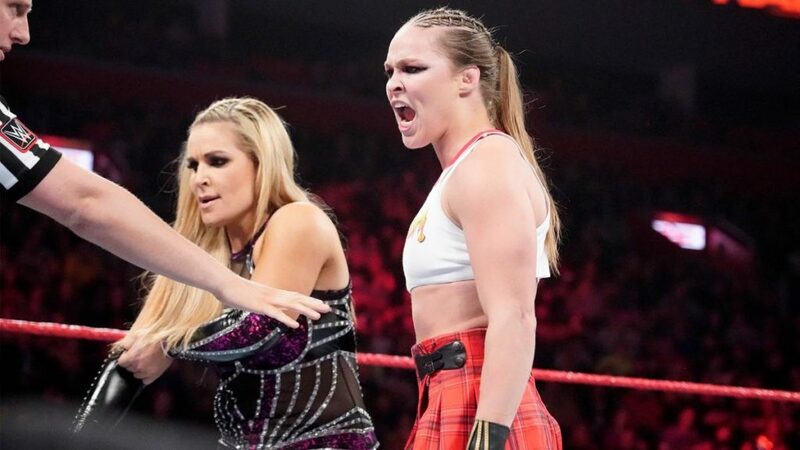 As for Natalya, it almost looked like she wasn’t going to wait for Ronda Rousey to come out to the ring with her, but she did—and as soon as Rousey got out there, they immediately brought the fight to Nia and Tamina. Rousey was not playing around, and she made that immediately clear to Tamina to start off the match. But she wanted Nia, so she made Tamina tag in her partner so she could—for lack of a better term—get these hands. Nia fared slightly better against the RAW Women’s Champion than Tamina did, but she wasn’t completely dominant. Rousey then tagged in Natalya—and Nia tagged in Tamina—and the duo known as “Rowdy Hart” showed how much they both bring to the table. Eventually, Nia and Tamina used their double-team skills against Natalya, powerhousing their way through her. But finally, Natalya was able to tag in Rousey, and Nia had to return to what she does best: getting rocked by “The Baddest Woman on the Planet.” Sure, she got in some offense, but it was nothing compared to Rousey’s flurry of offense—so she was lucky Tamina tagged herself in when she did. And it was an unexpected tag on Rousey’s part. 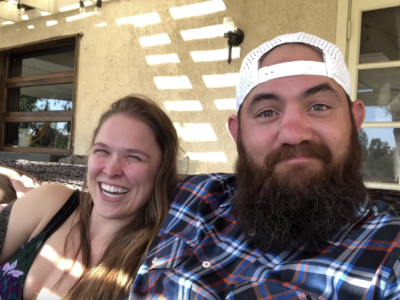 But Rousey was only out of sorts for a moment before she locked the armbar in. Nia was able to save Tamina from that fate, but Natalya took out Nia… and Tamina took out Natalya. With that, it was only Tamina and Rousey left in the ring, and for the latter, it looked like it was only a matter of time before she was completely down and out. But she was able to get her knees up when Tamina went for the Superfly Splash, and after promising Tamina at TLC that her arm would eventually suffer the same fate as Nia’s, Rousey tapped her out with the armbar. Two down, who knows how many else to go. Does Alexa Bliss really want another piece of this? We shall see next week when the RAW Women’s Champion appears as the first guest on Bliss’ new talk show, A Moment of Bliss.